This event will conclude a special Documentary and unique photo exhibition of more than 101 martyrs who laid their lives for the freedom, also framed with National Poet Convention and lively depiction of Bhagat Singh's revolution journey. Family members of the martyrs will also be sharing their views with the people about the sacrifice by their great ascendants. The concept of this unique exhibition lies in the fact which will reveal the unknown faces of freedom fighter who ever played an active role in shaping our freedom. 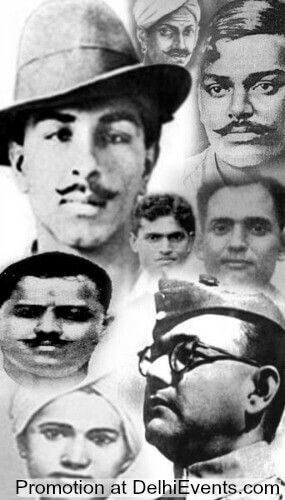 Today we know about Bhagat Singh, Chandrasekhar Aazad, and Ram Prasad Bismil etc but there were more than 101 young legendary leaders who helped us get freedom. Apart from exhibition there will be some cultural performance to explore the contribution of all these brave fighters.